Gena Dalton celebrated in the Alabama State House in Montgomery in March when the state legislature passed Carly's Law. Now Dalton wants to celebrate in Washington, D.C. Dalton, a chemist who lives in Madison, helped lobby for the passage of Carly's Law — the legislation that allows the University of Alabama at Birmingham to research and dispense a marijuana-derivative oil known as CBD oil as a medicine to help treat epilepsy. She's also part of a national movement to loosen restrictions on cannabidiol — the formal name for CBD oil -- like the Alabama legislature did without dissent earlier this year. "Just like the Carly's Law parents were lobbying state legislators, we're going to try to do the same thing federally," Dalton said. "It's much, much harder to do something like that on the federal level than it is on the state level." Dalton's motivation is her 2-year-old daughter Charlotte, who has Dravet Syndrome and endures so many seizures a day, "I can't really count," her mom said. According to the Dravet Syndrome Foundation, the condition "is a rare and catastrophic form of intractable epilepsy that begins in infancy. Initial seizures are most often prolonged events and in the second year of life other seizure types begin to emerge." A progressive decline in development can begin in the second year of a Dravet Syndrome victim. Dalton said Charlotte "is a typical 2-year-old little girl" when the seizures have subsided. The expectation is the CBD oil will have a dramatic positive effect on Charlotte. For her mom, getting access to that medicine is the motivating factor. Dalton is a board member for the Epilepsy Foundation of Alabama and coordinator for North Alabama Epilepsy Awareness. She helped found the Parents Coalition for Rescheduling Medical Cannabis and the grassroots organization is planning a march on Washington in April 2015, Dalton said. The group lists members of its leadership team from 11 states on its website and states its mission as advocating the removal of cannabis (marijuana) as a Schedule 1 drug — the same distinction, in the eyes federal law, as heroin and LSD. Schedule 1 drugs, by definition, have no accepted medical use and a high potential for abuse. Drugs such as cocaine, methamphetamine and Oxycontin are listed as schedule 2 drugs — defined as "drugs with a high potential for abuse, less abuse potential than Schedule 1 drugs." "We just want to be in the same city as them and not just a bunch of stereotypical people who want to use marijuana," Dalton said. "We're working with special needs children. We're trying to alleviate their suffering and they are suffering every day." Dalton said she has met with U.S. Rep. Mo Brooks, R-Huntsville, and had correspondence with other members of the state's congressional delegation. Alabama's federal representatives, however, have been less inclined to embrace the potential of medical benefit in a marijuana derivative. The majority of the delegation opposed a measure included in a drug enforcement funding bill to leave undisturbed 22 states, including Alabama, who have made their own laws regarding "distribution, possession or cultivation of medical marijuana." The amendment passed the House in a 219-189 vote. But the Alabama delegation voted 4-3 against it. Spencer Bachus, R-Vestavia Hills, Mo Brooks, R-Huntsville and Mike Rogers, R-Saks, supported the amendment while Robert Aderholt, R-Haleyville, Bradley Byrne, R-Fairhope, Martha Roby, R-Montgomery and Terri Sewell, D-Birmingham, opposed it. The appropriations bill, including the amendment, is expected to die in the Senate after being passed by the House. And if the bill, including the amendment, isn't passed by the Senate, the amendment vote means nothing. To Dalton, though, it means a lot. Comparing the vote by Alabama's representatives in Congress with the no-dissent approval of the Alabama legislature on Carly's Law made no sense to Dalton. "Which is it?" she asked. "Do you really disagree or do you really know what you're voting on?" If the bill passes the Senate and is signed into law by President Obama, it will make a difference in Alabama, according to Dustin Chandler, whose daughter Carly is the namesake for the state law. Chandler pointed to the interest expressed by neurologists Dr. David Standaert at the University of Alabama at Birmingham and Dr. Orrin Devinsky at New York University to study the benefits of CBD oil. Standaert is directing the UAB Cannabidiol Program. "If those neurologists want to research the benefits of the cannabis plant, why are we so hung up on not letting them do that and making them go through federal regulations?" Chandler said. "Why can't we re-schedule it and get research going a lot faster. If we allow that to happen and it cures more disorders, that's what we're all for." A law that might provide a pathway for that research is U.S. House bill 5226, known as Charlotte's Web Medical Hemp Act of 2014. 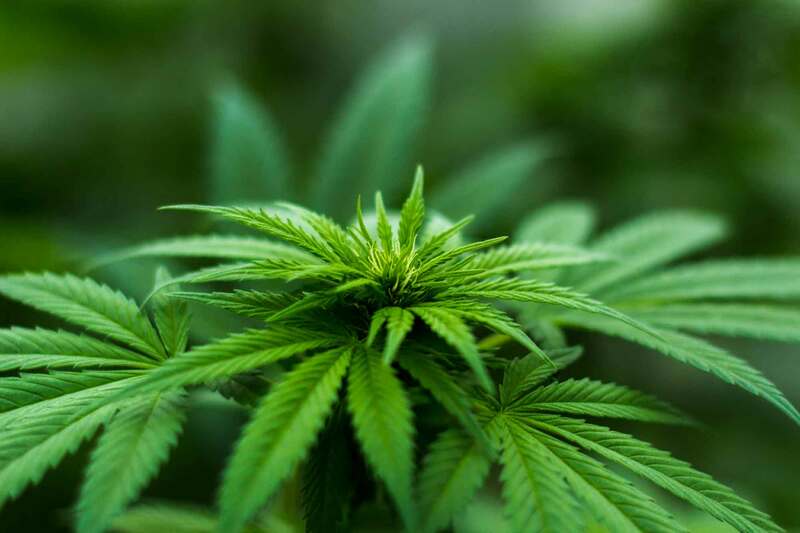 The bill, introduced in the House in July, would amend the Controlled Substances Act to exclude therapeutic hemp and cannibidiol from the definition of marijuana. The bill would allow the plant to maintain a concentration of THC — the characteristic of marijuana that provides a euphoric high — of not more than 0.3 percent, which means it has no hallucinogenic effects of traditional marijuana. The bill is named for Charlotte Figi, a Colorado girl whose parents have lobbied nationwide to ease access to medical marijuana after having success reducing their daughter's seizures through the use of CBD oil. Dalton's grassroots parents organization endorsed the bill last month. "This bill will allow low THC cannabis oil to be shipped across state lines, without fear of federal prosecution," Dalton said. "This bill will bring home several families who are currently refugees in Colorado."